This is the latest instalment in our collaboration with MediaCorp’s ilovebooks.com. 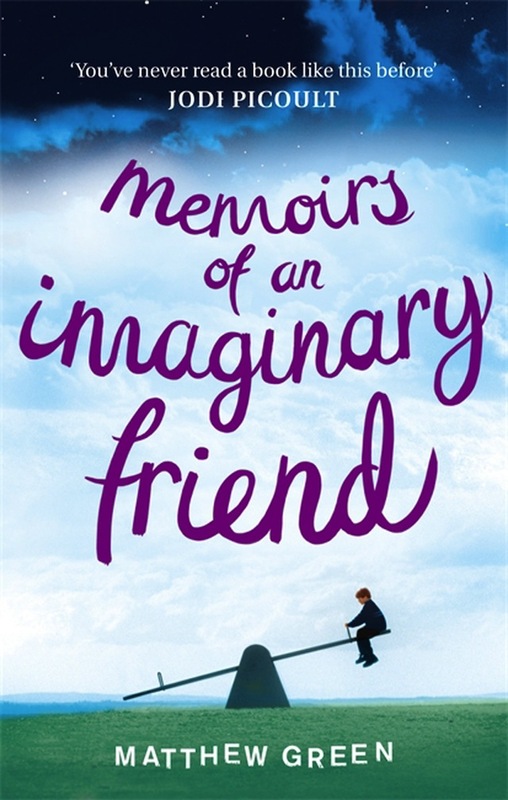 Abigail reflects on the emotional power of Memoirs of an Imaginary Friend by Matthew Green. It’s been too long since I’ve had a chance to enjoy a good book, particularly because any little free time I can squeeze out of each busy week would be used to repay my sleep debt. However, with the new ilovebooks e-reader, I had no excuse to put aside reading because it became so convenient to read. In fact, I found myself immediately accessing the application whenever I had some alone time on the way home, even ignoring my Scramble With Friends games and Facebook notifications to read, something that rarely happens. The book that kept me engrossed was Matthew Green’s simply yet beautifully written Memoirs of an Imaginary Friend. The entire story is narrated by Budo, an imaginary friend imagined by Max – a mildly autistic child. Budo will continue to exist as long as Max continues to believe in him. However, should Max stop doing so, then Budo will fade away. Budo is one of the oldest imaginary friends around at a ripe old age of five, and he has seen too many of his kind fading away as their ”imaginers” have grown up and grown out of them. He is only able to survive this long because Max, who finds it very difficult to express himself and connect with others, needs Budo much more than the other children need their imaginary friends. Despite the fact that Budo was only an imaginary friend, he had his own emotions that were entirely separate from Max, and that was what caused me to love him and his perspective on the human world. Everyday situations that Max and Budo face are first portrayed through the innocent eyes of Budo, which is particularly interesting and engaging. I particularly enjoyed the hilarious incident whereby Max had to face up to the school bully, as it was so unexpected and wittily written. The plot moves away from the mundane day-to-day events of ordinary life to a much more thrilling and exciting situation when Max is kidnapped, leaving Budo to face a dilemma that leaves him and the reader very conflicted. Budo has to decide if he wants to ensure his existence, or risk fading away forever if he saves Max, the boy he loves. I was really amazed at how this simple novel could be so thought-provoking and poignant, and how each character was developed so cleverly, keeping me thoroughly invested in the various characters, from Budo to Max and even other characters that appeared later in the story. I thoroughly enjoyed the creativity and originality of this story, and although the ending was somewhat expected, it left me feeling very satisfied, as this refreshing read lingered on in my mind long after I pressed the Home button. The writer’s e-book was sponsored by Mediacorp Interactive. To purchase the e-book, please visit http://www.ilovebooks.com/ebooks/home/9C84C4E1-B10A-401C-907D-390A045AF362/Memoirs_Of_An_Imaginary_Friend. As part of this collaboration, all RI staff and students are eligible for an exclusive 10% discount from October 15 to 28. Simply key in the promo code (SGM120248RIR) at the checkout by filling in the blank, and click APPLY. What’s for Dinner? Ask the Principal! As hungry Year 6s waited in line to be served from the abundant feast at Mega Mugging Madness (MMM), they might have easily missed noticing our Principal, Mrs Lim Lai Cheng, amongst the servers. It is hard to blame them, since the food on offer looked so good, with dishes such as Mee Siam, Chicken Rice, popiah, almond longan and a hugely popular water chestnut delicacy on the menu.